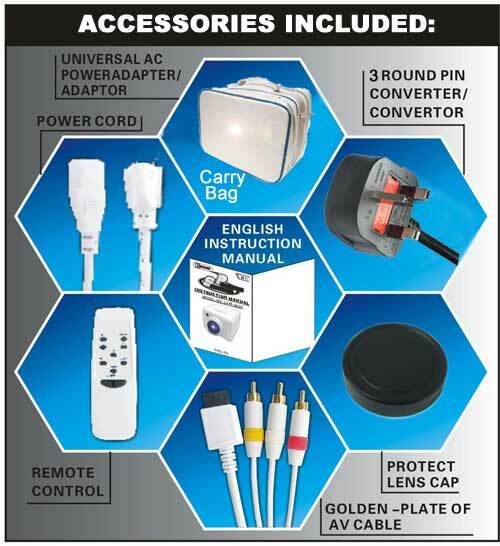 With the universal AV cable, the Wii Projector is compatible with most systems. 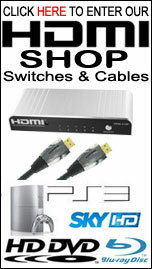 The functions and connection are plug 'n' play. 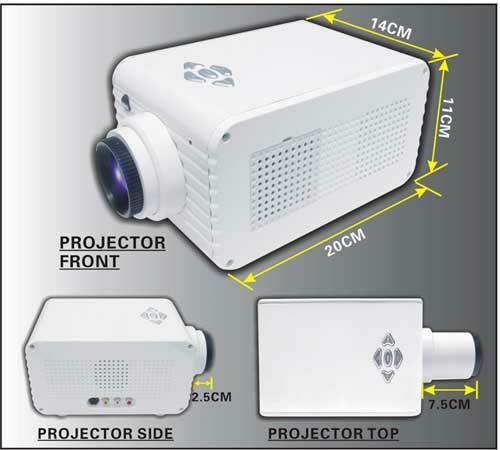 The projector can be placed in various positions. With the addition to the standard front projection, the menu driven functions can be used instantly to reverse the image for rear projection and also invert the image for ceiling mounted projection. Full angle remote control capable of handling multiple tasks. The built-in amplifier and speaker eliminate the need for external audio components. Blast the sound from the projected games and movies through the internal hi-fi speaker! 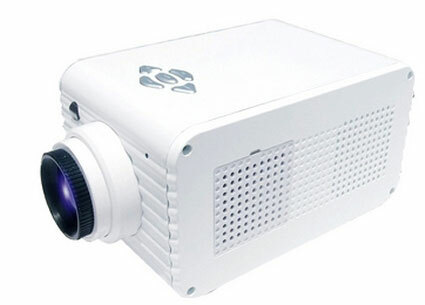 The new Wii Projector expands your gameplay with the latest resolution solution. Dimension: 8.65 x 5.30 x 4.90 in.